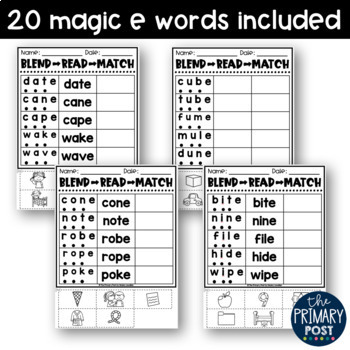 These sheets are perfect for your students to practice blending and reading Magic E words. 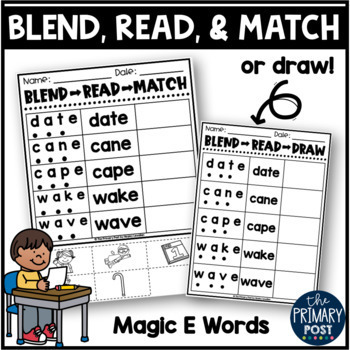 -4 Blend, Read, & Draw sheets where students draw a picture of the given word. Please see preview for all sheets that are included. 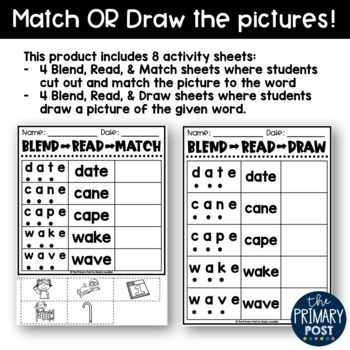 Please don't forget to leave feedback so you can earn your free TpT credits toward future purchases! Learn more about TpT credits here. •TpT: CLICK HERE or on the small green ★ by my name to follow along for SALES & new products!